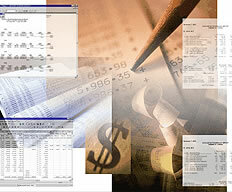 Understanding of the business's payroll activities and operations and administrative and accounting control procedures. Implementation of integrated payroll software (ERP). Payroll disbursements – Electronic Transfers or other means of payment. Processing and payments of Retirement Employee Benefits (CTS). Processing of several employee accruals corresponding to Bonuses, Vacations and Employee Profit-Sharing. Labor service, with respect to calculation of taxes and contributions; calculation, preparation and filing (presentation) of information concerning labor matters. Processing and issuing of Electronic Payroll books. Preparation of reports and the managerial information needed for business management. Labor Advisory services and Consulting.